Kudos to Benjamin on completing 1,000 Monkey Songs on his violin! 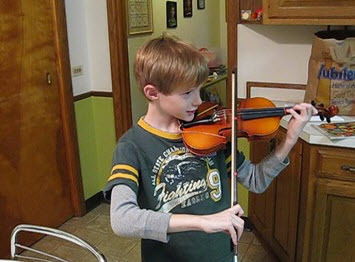 His teacher gave him a challenge this fall to play the Monkey Song one thousand times to improve his hand position on the violin, and last Wednesday night we all gathered around to hear him finish the challenge. We thought you might want to hear it too!